I will say this, I don't like store bought dips, they are always disappointing to me. They have an artificial flavour when I eat them. 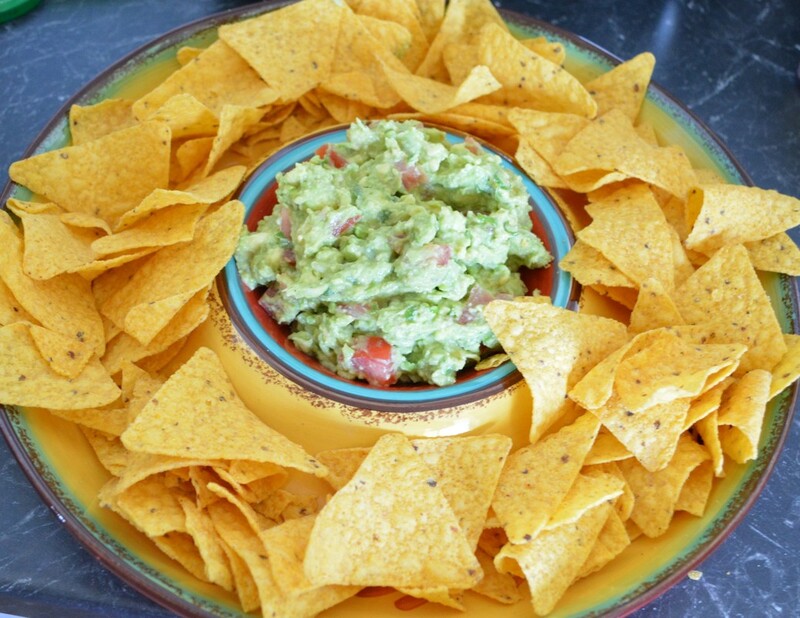 One day while flicking through a cookbook I came across this guacamole recipe. I was having a party in a few days so I thought I'd give it a go. I am not a fan of avocados, but I knew most of my guests liked it, so I went ahead and made it. 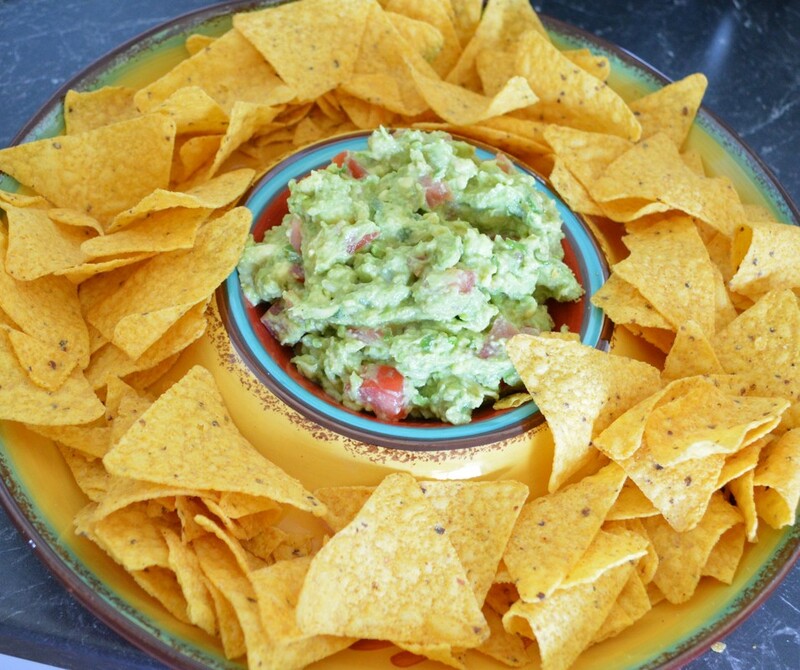 It takes approximately 10 minutes to make and you get a fresh guacamole that you cannot buy in a store. It was delicious, it was easy to make, it was gone very quickly. I love this guacamole. My guests loved it. I served it with corn chips, some of my guests loved it with bread, they mopped up the bowl. It was a huge hit. You can also serve this with nachos, on sandwiches, it is so good. The recipe below is basic, but feel free to alter the flavour by adding freshly chopped coriander to it, or chopped jalapeno peppers, or a red onion instead of the shallots, or lime instead of lemon. Scoop the flesh out of the avocados and place in a medium sized bowl with the lemon juice. The juice is not only for flavour, but it also works to stop the avocado browning. Mash it up well with a fork. Add the tomatoes and shallots. Season well with salt and white pepper, to taste. You can prepare this in advance but keep it in the refrigerator in an airtight container, until needed. It is at its best if used the same day, but it can be used the next day also.